You can receive FREE VIP access to All Hot New PCS MLS Search Listings from all real estate companies the moment they hit the market! 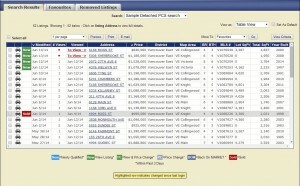 -Find out the actual selling vs. listed prices of sold properties. -Create our own PCS MLS® Search. View New Listings just like Real Estate Agents Do Simply enter your price range, desired features and location. -Colour pictures and comprehensive details of each home. -Beat out other buyers to hot new listings. -Create your own PCS MLS® Search on the (MLS®), the same system that is available to REALTORS® ONLY. -Your personalized search will be updated in real time. In other words, if there are any new listings or price changes you will be the first to know… via e-mail. -Track sales and off-market listings. -Organize your favorite listings, print them or e-mail them to your friends. If you are interested to get full access to this absolutely no cost and obligation free, comprehensive and updated up to the minute MLS® hottest listings information, please fill and submit the request form on this page. In the “Notes” box include a code “pcs MLS® search”. To receive the most valuable information customized to your search criteria, please in the “Notes” field try to describe the most important features of your future home. Price range, number of bedrooms and bathrooms, total living floor space, the age of building, areas and subareas/neighborhoods. Do you need a mortgage helper with a second kitchen? 1-2-3 level house, basement. If it’s an apartment, do you have a pet or any plans of renting it out? The provided information is absolutely no cost and obligation free. This is not a subscription to a mailing list or a newsletter. It will grant you access to MLS® information shared with other users. Enjoy obligation free access to this Exclusive PCS MLS® Search. Thank you in advance for emailing this page to friends and colleagues and sharing it on your favorite social media networks. Please use the “share” buttons below.